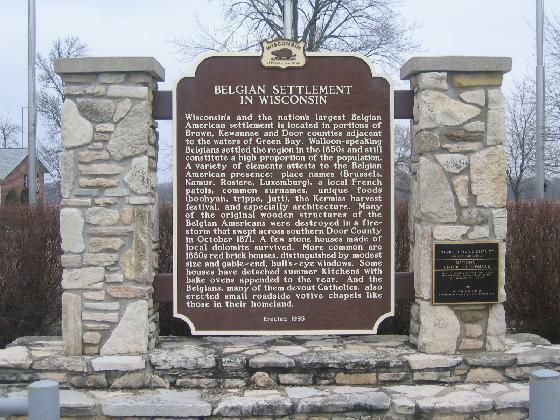 Wisconsin�s and the nation�s largest Belgian American settlement is located in portions of Brown, Kewaunee, and Door Counties adjacent to the waters of Green Bay. 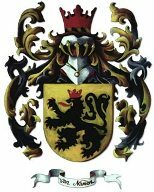 Walloon-speaking Belgians settled the region in the 1850�s and still constitute a high proportion of the population. 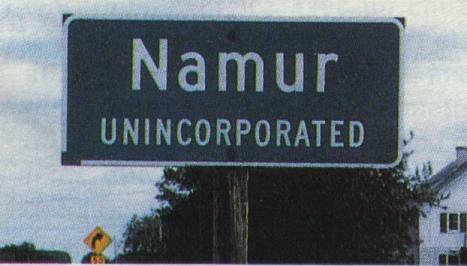 A variety of elements attests to the Belgian American presence: place names ( Brussels, Namur, Rosiere, Luxemburg, ) a local French patols, common surnames, unique foods (booyah, trippe, jutt ), the Kermis harvest festival, and especially architecture. Many of the original wooden structures of the Belgian Americans were destroyed in a firestorm that swept across southern Door County in October 1871. A few stone houses made of local dolomite survived. More common are 1880�s red brick houses, distinguished by modest size and gable-end, bull�s � eye windows. Some houses have detached summer kitchens with bake ovens appended to the rear. And the Belgians, many of them devout Catholics, also erected small roadside votive chapels like those in their homeland.